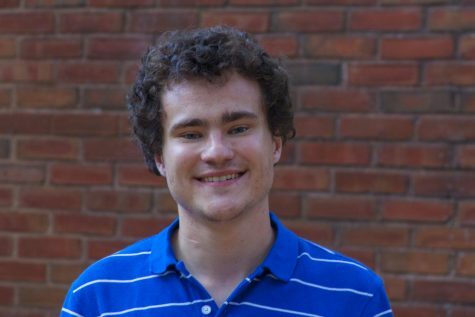 Oct. 9 marks two important events for fourth-year student Arik Stewart. It marks his birthday and the release of “Son of October,” the first official project from his eight member art collective 4upz. “It’s a musical project focusing on some of my expression and some of my story,” said Stewart. 4upz began in middle school as a YouTube comedy troupe that Stewart started with several friends. Most middle school YouTube comedy troupes are over before they start, doomed to end up as reminders of adolescent dreams of stardom. Stewart left comedy and began working on art and music projects with friends, and they kept the 4upz name. The group, a mix of dancers, musicians and visual artists, has performed at many university events. They opened for Amine at the first UPBeats of the semester and have previously opened for blackbear at the Jolly Scholar. They have also performed at Springfest and Arts After Dark. Stewart’s hip-hop music is generally very positive, often celebrating the people he holds dear. Whether it’s his girlfriend or little sister, he celebrates them with a great vitality and life. “In a music genre that often tears down women, I want to be the opposite and provide more uplifting tones,” said Stewart. For live performances, the group incorporates a mix of pre-choreographed dance moves and improvised dances. Two of the dancers, Jamal Gibson and Victor Little, are students at the Cleveland Institute of Art. An Arts After Dark performance at Harkness Chapel three years ago was their first live performance with Stewart. Little is an original member of the group from Stewart’s YouTube days who brought Gibson into the fold during Stewart’s first year. According to Little, the group uses a dance style called animation. Animation interprets words and sounds of music with body movements. “With his [Stewart’s] style, it’s not too hard to get into the music and show the music with our bodies,” said Gibson. The trio commented that choreographing dance routines can be difficult since they often do not know how much room they have to work with on stage or how bad weather may affect the performance. 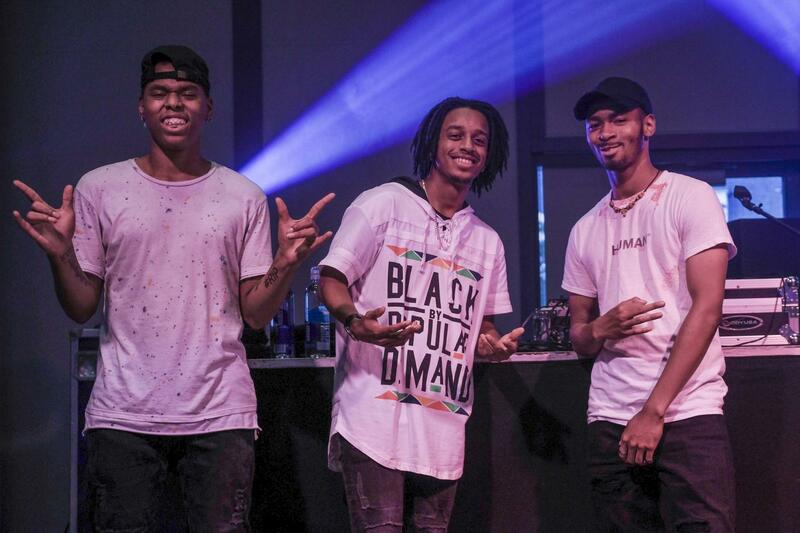 Stewart said that the 2017 SpringFest was one of their most memorable performances. Harsh rain soaked the stage, which forced 4upz to completely change their dance routine with less than twenty minutes to spare. Stewart said opening for Amine is the highlight of the group’s live shows so far. “It was just a good feeling. People were more interactive, people were singing some of the lyrics which surprised me. It was a good time,” said Stewart. When not writing songs, Stewart studies computer science and is involved with Case Western Reserve University’s Black Student Union, which he co-founded. “I try to keep it natural. When I’ve actually sat down and said I’m going to write a song it’s never worked,” said Stewart when asked about his songwriting process. “Son of October” will be available on major streaming sites on Oct. 9. The group plans to create several animated and live action music videos to promote “Son of October” later in the year.